Prof. Segev is known as one of Israel’s most prominent and enthusiastic neuroscientists, whose oft-quoted motto “Attack the Brain” is in fact a fair embodiment of his research aspirations. Segev forewent many commercial seductions and lucrative management roles in pursuit of his passion in research. 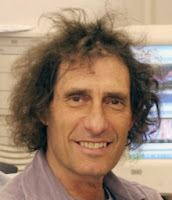 He has spent no less than several decades on Hebrew University’s Givat Ram campus, where he received his bachelor’s degree in mathematics and biology, his Master’s of Science degree in neurobiology and his doctorate in experimental and theoretical neurobiology. Along with a 6-strong force of PhD. students, Segev is currently working on elucidating a versatile array of grey matter’s enigmas with a mathematical touch, from how the brain computes information and how synapses are formed to the sets of rules which guide this formation in healthy and ailed brains. For him, the pinnacle of this research would be an effective ability to simulate our findings in a working computational model. But for this to succeed, he says, we must truly “attack the brain” from all directions, which would require a combined effort on the part of an immense plethora of experts hailing from all doctrines. This is why Prof. Segev, a personal friend of Human Brain Project’s Henry Markram and one of the original participants in the HBP’s prototype Blue Brain, seemed to fit like a puzzle piece into the mind-set of EU’s colossal initiative. He was chosen to lead the Simulation Platform project of HBP, and his Hebrew University lab was one of 130 initially selected to lay the foundations for the assignment. Perhaps rather modestly for a researcher in such a costly field as neuroscience, Prof. Segev says the €130,000 over 30 months which was isolated for his lab’s research by HBP will be perfectly sufficient to make significant progress. Dashing new facilities and a few more PhD students at HU’s new Edmund and Lily Safra Brain Centre, which began construction in May of 2013, will certainly help. As he jokes about the new sound-proof windows just installed in his current office, Prof. Segev says he is immensely excited about observing the stone-throw-away construction of the new center over the next three years, which he personally helped design. Brushing off HBP opponents’ fears about the difficulty of processing the massive amounts of data collected from thousands of facilities around the globe which the HBP aims to tackle, Prof. Segev brings up the example of the terabytes of data generated by star observation, which has been managed extremely well once solid, standardized models were in place. Neuroscientists are by no means oblivious of this problem, and huge initiatives to devise complex statistical models and collaborative software are underway. Global cooperation, however, is a crucial key to HBP’s progress. This is why the project has been sliced up into so many research layers: whilst Segev’s lab is working on elucidating inter-neuronal physiological behavior, a lab in Edinburgh University headed by Prof. Seth Grant is working on mapping the thousands of molecules innate to the brain, at the same time as a leading Institute Pasteur neuroscientist slash philosopher Jean-Pierre Changeux is exploring the relationship between the physical brain and the cognitive mind. Eventually, superimposing the findings of these various “HBP Pillars” will lead to an altogether new map of the brain where hundreds of parameters can be tied together to from an altogether new understanding of the neuronal microcosm. Speaking about the global neurotechnology environment, Prof. Segev says that he has very little faith in Big Pharma’s strides to develop neurological drugs, particularly because such painful blows have been sustained by the industry in CNS developments in recent years. He says that there is no future for neuropharmaceuticals in Big Pharma, certainly not for the way in which these companies conduct drug discovery research. Rather, he says, for the time being medical devices will become clear leaders in the neuro-therapeutic field, until (his) research yields more insight into the underlying causes of brain disease. On President Peres’s initiative to brand Israel as a neuro-hub, Prof. Segev says this important mission by Israel’s “awesome President” is set for none other than success, as there is one thing one can trust in Israel, and that is the insatiable curiosity and strong determination to learn, which seemingly drives this nation forward. Segev’s only one wish, however, would be to lift the political barriers here and to unleash the brain power of the region which, in his opinion, hides unbelievable potential.